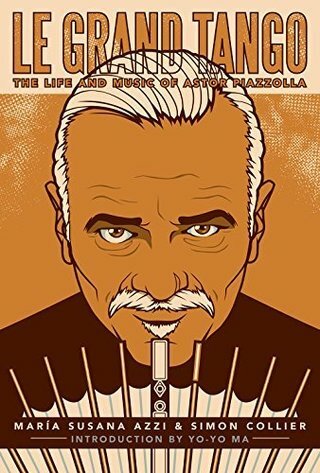 Le Grand Tango is the definitive biography of Argentine composer and musician Astor Piazzolla, whose genius is nothing if not controversial. The debate still rages as to whether he reinvented tango or if his music is indeed tango at all. 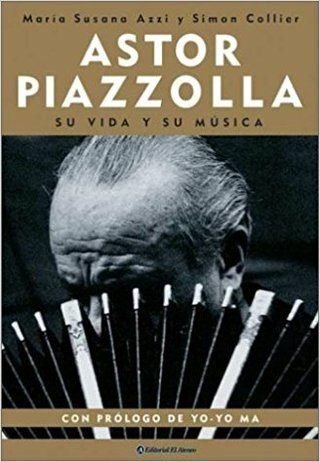 This new updated and expanded "Anniversary Edition," published twenty-five years after Piazzolla’s death, includes new material from both authors, updates on the Piazzolla family and legacy, and new photographs. Born in Buenos Aires, Argentina, 12 October 1952. Argentine society has always been a melting pot. Argentina is an inclusive and open society without ghettos. Like most people in this country, I am the result of the melting pot: on my father's side, my roots are Italian; on my mother's side, my roots are English, French, Spanish, North and South American. I have both European Community and Argentine passports and Italian and Argentine citizenships. University Degrees: Cultural Anthropologist, Universidad de Buenos Aires, 1987. (Columbia University, New York, Department of Anthropology: Undergraduate courses, 1986.) Master Degree in Business Administration and Economy, ESEADE (Escuela Superior de Economía y Administración de Empresas), Buenos Aires, 1983. Dissertations 1. Economy Programe: "Alexis de Tocqueville in L'Ancien Régime et la Révolution". Supervisor: Ezequiel Gallo, Ph D. 2. Business Administration Programe: "Case Study of a Sugar Cane Plantation in the province of Tucumán, Argentina, 1920-1983". Area of Research: Immigration / Tango / Astor Piazzolla / Argentina Methodology: On the basis of historical research and my own ethnographic fieldwork among tango people from the city of Buenos Aires, the interior of Argentina, and overseas (musicians, composers, dancers, choreographers, poets, singers, tangueros), I investigate the tango in order to understand the culture and social history of Argentina, the function of the tango as a means of bringing many disparate nationalities together, the virtual assimilation of the immigrant communities into Argentine society, and the impact of the tango on world music, dance, aesthetics, the arts, literature, drama and cinema. An anthropological research of the tango embodies the history of multiculturalism in Argentina and the recovery of social networks, symbols, and values of cultural identity (national, metropolitan, barrio, and gender identities). Fieldwork: I have worked with more than 1,000 informants/consultants related to the tangoworld. For Le Grand Tango: The Life and Music of Astor Piazzolla, I interviewed 230 people. Among others: Yo-Yo Ma, Daniel Barenboim, Al Di Meola, Plácido Domingo, Lalo Schifrin, Gary Burton, Claudio Segovia, the Kronos Quartet, Aurora Nátola Ginastera, Oscar Castro Neves, Jorge Calandrelli, Graciela Daniele, Oscar Araiz, Maximiliano Guerra, Juan Carlos Copes, Gerardo Gandini, Paquito D'Rivera, Martial Solal, Richard Galliano, Raúl Barboza, Pierre Philippe, Georges Moustaki, Milva, Anahí Carfi, and many other artists, musicians, friends and members of the Piazzolla family. Other sources for my work: Extensive bibliography. Archival Work: Public and Private Archives in Argentina, France, Italy and U.S.A. Historical Documents. Photographs. Films. Scores: 1869 to the present. Discography: Cylinders, Records (78, 45 and 33 r.p.m. ); Cassettes; CDs; CD Roms; DVDs. Television and radio appearances in Argentina, Australia, Brazil, France, Italy, United Kingdom, and the United States of America. (1991-2004). Lecturer on the tango, Jorge Luis Borges, Astor Piazzolla, migration and immigration, Argentina, Cultural Anthropology: in Argentina, Europe and the Americas. (In the U.S.A.: at the Americas Society, the Smithsonian Institution, Cultural Center of the Interamerican Development Bank, Spanish Institute in collaboration with the Instituto Cervantes, School of American Research, Barnes and Noble at Lincoln Center, Stanford U, California State U, U of Arizona, U of Maryland at College Park, U of Maryland at Baltimore County, U of North Texas, Northern Arizona U, U of Texas at Austin, U of Pennsylvania, New York U, etc.). Publications in various languages: Spanish, English, French, German, Italian, Japanese, Korean. 4 books, 50 articles, chapters for books, liner notes for CDs. Consulted by: Dance Perspectives Foundation, Metropolitan Museum of Art, Musical Instruments Department. Smithsonian Magazine, New York University, Oxford University Press, SONY Classical, The Astor Piazzolla International Foundation, RAI Internazionale, British Journal of Ethnomusicology, British Library Sound Archive. National Geographic Society, Otto-Friedrich University of Bamberg, Instituto Nacional de Antropología y Pensamiento Latinoamericano, Buenos Aires, etc..
Argentina: Board Member of Fundación Astor Piazzolla, Asociación Reina del Plata, Club del Progreso. 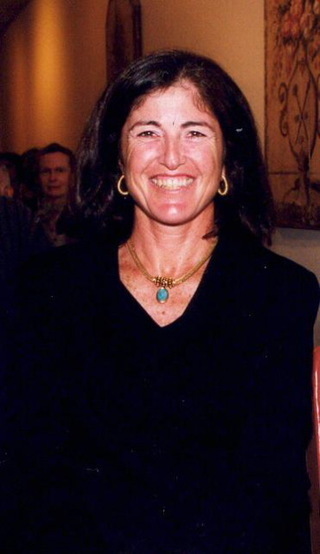 Member of: Sociedad Argentina de Antropología, Colegio de Graduados en Antropología, Academia Porteña del Lunfardo. United States of America: Society for Ethnomusicology (Life Member), American Anthropological Association (General Anthropology Division, Society for Latin American Anthropology, Society for Cultural Anthropology), Cross Cultural Dance Resources, Latin American Studies Association, International Council for Traditional Music (Life Member) (Study Group on Ethnochoreology, Music and Gender Study Group). Antarctica, Australia, Austria, Bolivia, Brazil, Cambodia, Canada, Chile, Croatia, Czech Republic, Denmark, Ecuador, Ethipia, Egypt, Finland, France, Germany, Greece, Greenland, Hong Kong, Hungary, Kazakhstan, Kyrgyzstan, Iceland, Indonesia, Israel, Italy, Jordan, Mexico, Morocco, Myanmar, New Zealand, Norway, Peru, Russia, South Africa, South Korea, Spain, Sweden, Switzerland, Tajikistan, Thailand, The Netherlands, Turkey, Turkmenistan, United Arab Emirates, United Kingdom, Uruguay, U.S.A. (Alaska included), Uzbekistan, Vietnam. Hobbies and recreations: Amateur golfer (best handicap: 2), Tae Kwon Do practitioner, swimming, Photography. Pioneros son, según la estricta definición de la Real Academia Española, aquellas personas que inician la exploración de nuevas tierras o dan los primeros pasos en alguna actividad humana. Este libro trata sobre pioneros de la industria argentina, hombres que llegaron al país casi en su totalidad durante el siglo XIX, con capital o sin él, y se destacaron del conjunto social y entre sus pares por su capacidad para liderar y su visión de futuro. El libro recorre más de ciento cincuenta años de historia nacional. Se inicia con la elaboración de la cerveza, dulces y vino para el consumo local - cuando la producción era artesanal y familiar - y culmina con la realización de monumentales obras de ingeniería en algún rincón del planeta y la inserción presente de empresas argentinas en el concierto de la globalización. Noel, Benegas, Devoto, Magnasco; Mihanovich, Menéndez, Braun y Dodero; Bemberg, Tornquist; Hirsch, Bunge y Born; Di Tella, Oppenheimer, Schcolnik, Steverlynck, Pagani y Rocca son los pioneros seleccionados por María Susana Azzi y Ricardo de Titto, quienes, desde la antropología y la historia, suman sus miradas para presentar a estos protagonistas en su completa dimensión y contexto. "A remarkable document about the life and music of the Argentine master of the bandoneón." "The Golden Age and After" in ¡Tango! "Truly magnificent...one of the best books on tango ever published in English." A rich collection of interviews with tango musicians, bandoneonists, dancers, poets, singers, tangueros. The protagonists.